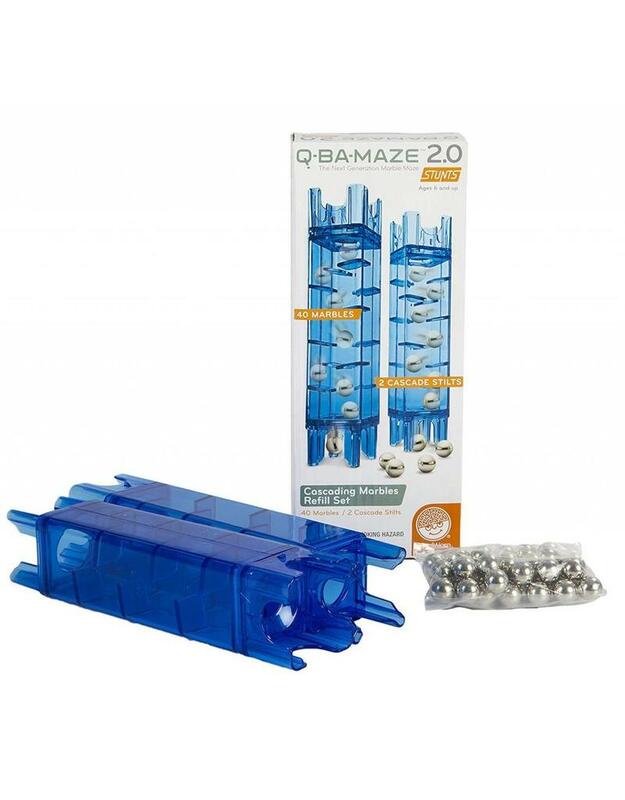 Put the laws of motion to the test with our patented Q-BA-MAZE 2.0 Cascading Marble Refill Set (cubes sold separately). Send a flood of marbles through your maze! The ingenious piece’s interlock in endless configurations, while double-exit cubes keep you guessing which way the marbles will go.